Tuesday last week seemed to completely pass me by – I’ll blame the change of routine for going back to school meaning that I’m still struggling to know what day of the week it is. Ladybird Tuesday is back though so this week we’re going to have a look at The Builder, part of the People at Work series, 606B. 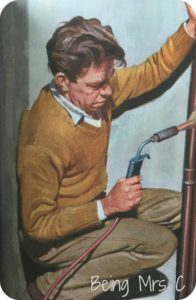 Now, builders today are somewhat different characters to those in 1965 when this particular Ladybird book was written. 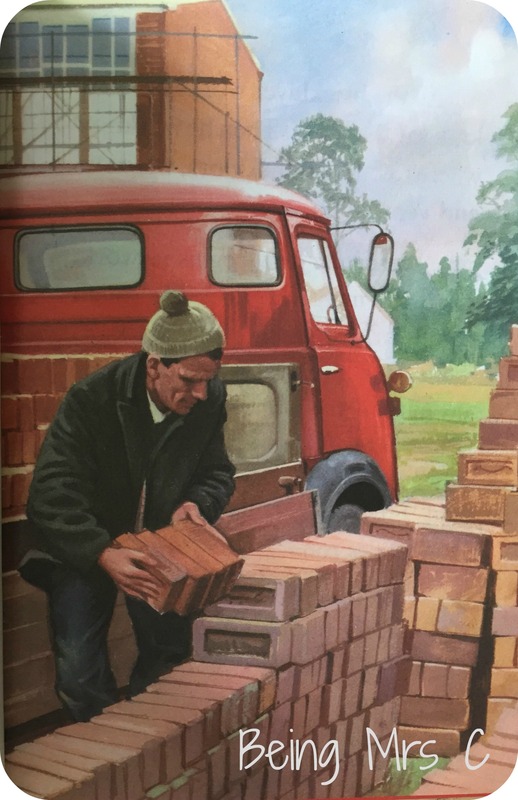 For a start a couple of them in this book appear to be wearing a shirt and tie and there’s not a white van in sight! Reading this book back now Ladybird really do sound ever so sexist, but then I guess that’s just the way things were at the time. The opening sentences pretty much gives you the direction for the rest of the book. 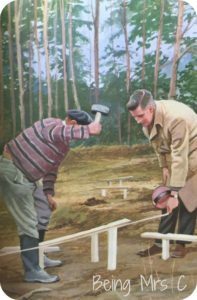 You have often seen men building new houses. The men are craftsmen who work for the builder. 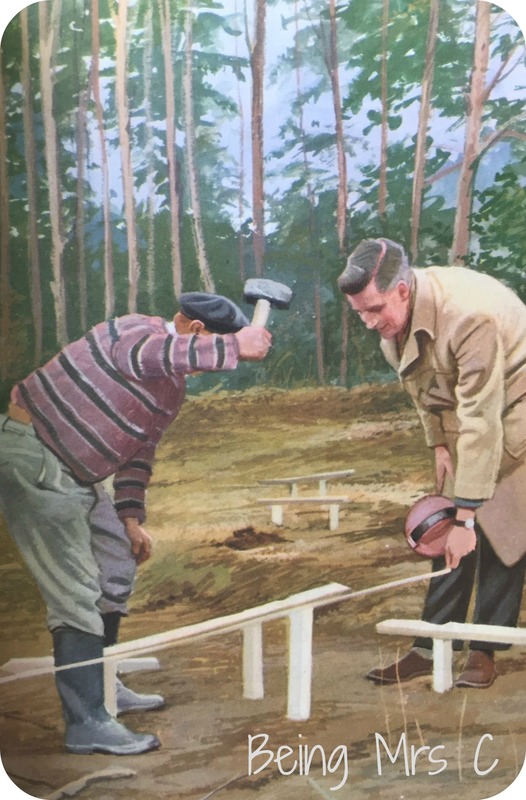 Yep, it’s men who build houses back in 1965. Just men. Just like it’s only men who are bricklayers and carpenters, and tilers and plumbers. It’s rather sad when you look back at it all. Any young girl reading a book like this would have received no encouragement at all to think that they could do a job like this. But then I remember that we have moved on, and in 2016 I can smile at a tweet like this one that has just appeared in my twitter timeline. The final section on prefabricated buildings really made me smile though when it talks about how many new schools have been made by prefabrication. And asks the reader if they have ever seen a prefabricated school. Just look at how many schools today have had to expand via portacabins in playgrounds and car parks – the prefabrication of schools continues, even if not as a 1960s architect expected. 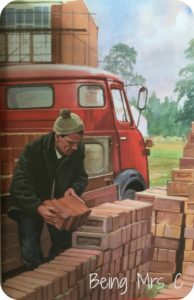 Ladybird Tuesday is a weekly look by at my vintage Ladybird book collection. It’s been running for years – basically whenever I get the time and inclination to do so. It’s also the most informal linky on the internet. 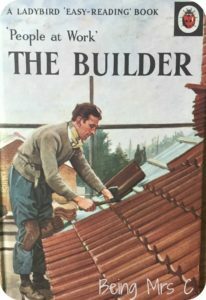 If you want to write about your own old Ladybird books then just feel free to do so and link back to me somehow. That’s it!